MADISON, Illinois (Aug. 26) - Dayton Indy Lights Championship race winners Conquest Racing will move up to the Indy Racing Northern Light Series for the final two races of the 2001 season with rookie driver Laurent Redon. Conquest and Redon, a 28-year-old Frenchman with extensive Formula 3000, Formula 3 and sports car racing experience, completed a successful IRL rookie test at Chicagoland Speedway on Tuesday and Wednesday. 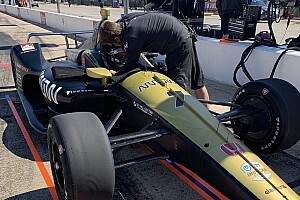 They will make their Indy Racing Northern Light series debut on the same track at Chicagoland on Sunday of Lanor Day weekend and will also participate in the season-ending race at Texas Motor Speedway, Sept. 16. "After five seasons in the Dayton Indy Lights Championship we are ready to make the move to the Indy Racing Northern Light Series," said Bachelart, the 1991 Dayton Indy Lights Champion and a former Indy car driver. "I have competed in the Indianapolis 500 as a driver in 1992 and 1995 and I would like to go back to the Speedway now as a team owner. That is our goal at Conquest Racing and we will begin with competing in the season-ending races in this year's Indy Racing Northern Light Series." Conquest has purchased a 2001 Dallara and will run Oldsmobile engines prepared by Comptech. Former Team Menard and Cahill Racing member Darrell Soppe has joined the team as the track engineer, current Conquest team member Didier Francesia will serve as crew chief and John King, the former crew chief for Kenny Brack's winning IRL effort with A.J. 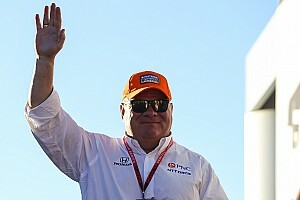 Foyt, will serve as a team consultant. Conquest Racing long-time partner Mi-Jack and sponsor Hype Energy Drinks will also be part of the IRL effort. After making his oval debut in an Indy Lights Lola T97/20 Aug. 1, Redon was impressive in his first experience in the IRL Dallara Oldsmobile earlier this week at Chicagoland. He recorded about 200 laps and cruised through his rookie test under the observation of Mark Bridges. "I was incredibly happy with Laurent's performance and the outstanding job he and everyone else did on the team," Bachelart said. "Our race car was practically perfect from the beginning and Laurent was quick yet optimistically cautious in his first major test on an oval. I am confident we will have a strong showing in the season-ending races we run next month and I am looking forward to possibly running the full 2002 season." After retiring from active driving competition at the conclusion of the 1995 season, Bachelart established Conquest Racing the following year and debuted in the Dayton Indy Lights Championship in 1997. Redon was the first driver Bachelart approached when he began the team that eventually ran its first season with another Frenchman, Christophe Tinseau. 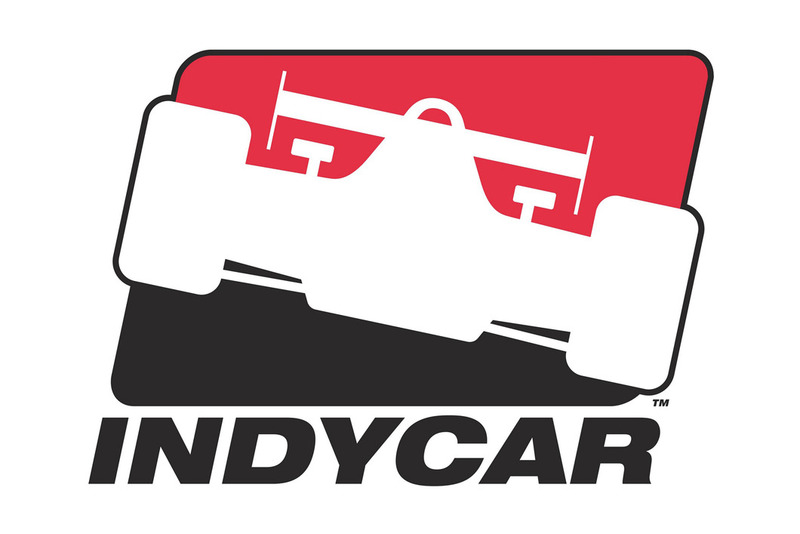 Other drivers that have raced for Conquest in Indy Lights include Andy Boss, Chris Menninga, Rolando Quintanilla and current IRL driver Felipe Giaffone who raced for the team from 1998 - 2000. Giaffone has been Conquest's most successful driver, winning at Michigan International Speedway last year and recording six career poles. Conquest and rookie Kristian Kolby also won the Dayton Indy Lights race at Kansas Speedway last month, a race that featured a world record .001 of a second margin of victory. After debuting in go-karts in 1991, Redon made his auto racing debut in Touring Cars in 1993. He moved up to open-wheel competition in French Formula 3 in 1994, and the following season won the French Formula 3 championship with four victories and two poles. 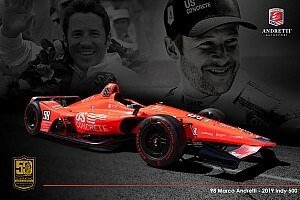 He has also served as a Formula One test driver for Benetton and Minardi and tested CART Champ Cars last year with Della Penna Motorsports and Dale Coyne Racing. He has also driven in this year's 12 Hours of Sebring, 24 Hours of Le Mans and various European sports car races for the Pescarolo Peugeot Sport program.